British photographer Alys Tomlinson won Photographer of the Year at the 2018 Sony World Photography Awards. THE WINNERS OF the Sony World Photography Awards 2018 have been announced. The coveted Photographer of the Year title went to British photographer Alys Tomlinson, who won $25,000 for her series, Ex-Voto. The series captures the idea of pilgrimage through the landscapes of sites in France, Ireland and Poland and in still-life images of offerings that have been made at these locations. In Ireland, Tomlinson shot at Ballyvourney, a Gaeltacht village in southwest Co Cork considered to be a pilgrimage site. Near the village is a stone slab inscribed with a Maltese Cross with a figure, believed to be a pilgrim, above it. The series was praised by the jury for its beautiful production, technical excellence and sensitive illustration of pilgrimage as a journey of discovery and sacrifice to a greater power. Tomlinson’s series also took first place in the competition’s discovery category. Ireland’s Rohan Reilly took home second place in the competition’s landscape category, one of 10 professional categories in the competition. Reilly, based in Kinsale, Co Cork, has previously won awards from organisations including the World Photography Organisation, the International Photography Awards, and UK Landscape Photographer of the Year. Produced by the World Photography Organisation, the Sony World Photography Awards is the world’s most diverse photography competition. This year, the 11th edition, saw a record-breaking 320,000 submissions by photographers from more than 200 countries and territories. The winning photographs are now on display at an exhibition in London. The exhibition runs at Somerset House until 6 May. Bulgarian photographer Veselin Atanasov won Open Photographer of the Year for his work, Early Autumn. In the architecture category, Italian photographer Gianmaria Gava took first prize for Buildings. In the contemporary issues category, Swedish photographer Fredrik Lerneryd took first prize for Slum Ballet. French photographer Florian Ruiz won first prize in the creative category for The White Contamination. Malaysian photographer Mohd Samsul Mohd Said won first prize in the current affairs and news category for Life Inside the Refugee Camp. Italian photographer Luca Locatelli won first prize in the landscape category for White Gold. Italy’s Roselena Ramistella came first in the natural world and wildlife category for her work, Deep Land. Britain’s Tom Oldham took first place in the portraiture for his work, The Last of The Crooners. Hungary’s Balazs Gardi came first in the sports category with his entry, Buzkashi. Portugal’s Edgar Martins, came first in the still life category with Siloquies and Soliloquies on Death, Life and Other Interludes. American photographer Megan Johnson, age 16, won Youth Photographer of the Year. 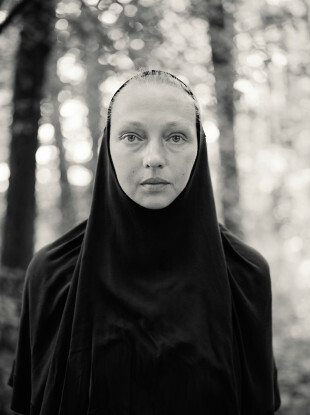 The black-and-white image, shot on the cliffs near her house in Connecticut, the black “captures the complex and intricate solitude the photographer faces in everyday life”, according to the World Photography Organisation. Canadian student Samuel Bolduc, age 20, won Student Photographer of the Year. His work, The Burden, “work beautifully illustrates the physical burden of plastic waste in the environment to highlight the urgent need to halt plastic pollution”. Email “The world's best photographs have been announced - and a shot of Ireland is part of the winning entry”. Feedback on “The world's best photographs have been announced - and a shot of Ireland is part of the winning entry”.